MUST HOLD A PASSPORT THAT DOES NOT REQUIRE A VISA TO GO TO BUENOS AIRES THIS IS NOT REQUIRED FOR BRITISH/EU PASSPORTS- IF YOU ARE UNSURE PLEASE CHECK YOUR PASSPORT REGULATIONS. 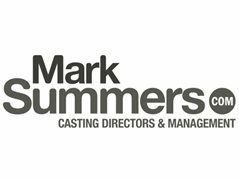 THIS IS TO COVER MANY LOCATIONS IN THE WORLD WE ARE FILMING THE SAME SPOT BUT FOR MULTIPLE COUNTRIES HENCE THE ETHNICITY REQUIREMENTS - SOME ROLES WILL BE CAST IN SOUTH AMERICA & SOME IN THE UK. MUST BE OVER LICENSE AGE & WILLING TO FLY WITHOUT A CHAPERONE. LOOKING FOR 4-6 TALENTS. Fun outgoing teens (no beards etc) need to look you like they are still at high school / college.